First Lady Rebecca Akufo-Addo has disclosed that urgent steps must be taken to help prevent the spread and control of HIV/AIDS in Africa. Mrs. Akufo-Addo underscored that policies, plans and ideas that are offered by stakeholders to combat the disease must not lie idle on the drawing board, but rather, they should be implemented on the ground in order to make headway in the fight against HIV/AIDS. She reiterated that stakeholders should not lose sight about the fact that stigmatisation against HIV/AIDS patients still exists and lack of access to anti-retroviral drugs by victims to fight the disease is real in some parts of the African continent. Mrs. Akufo-Addo added that stakeholders should henceforth make sure that more collaboration and action should be enforced to back the policies, ideas and suggestions that are offered to eradicate HIV/AIDS from the Africa continent. “HIV is a challenge to humanity. This calls for better collaboration. The global response must be strengthened. It must be accelerated. Beyond the statistics and the discourse are real people — mothers, fathers and the youth — who are the future of our countries. Beyond the discourse is the issue of expensive anti-retroviral therapy, well beyond the reach of many,” Mrs. Akufo-Addo pointed out during the Conference on AIDS Prevention & Control in Beijing, China, which was held on Tuesday morning. The programme was under the theme: ‘China and Africa Join Hands for a Future Free of AIDS’. It was attended by scores of first ladies from the African continent and the First Lady of China, Peng Liyuan. The participants expressed their views about how to combat AIDS in Africa. Continuing, she said the West African sub-region may not have high prevalence rate as compared to other sub-Saharan African countries, “but we cannot be complacent”, adding that more collaborative efforts are still needed to be able to get rid of AIDS from the Africa continent. 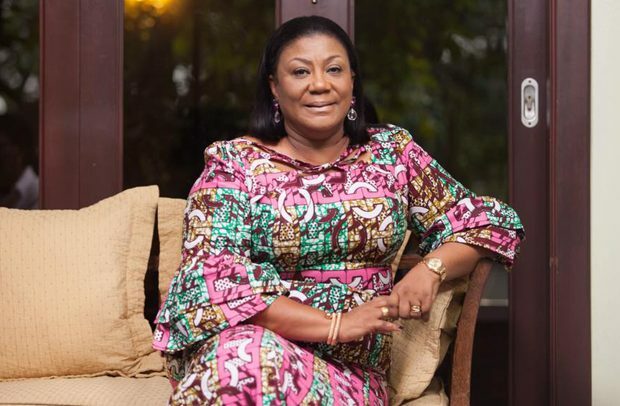 Rebecca Akufo-Addo, who has been playing vital roles in AIDS prevention and control in Ghana, also suggested that socio-economic factors that wrongly compel people to engage in activities that put them at risk of contracting HIV and other sexually transmitted infections must be checked. “As we seek to improve access to sexual reproductive health, counselling and HIV testing services, the prevention of mother-to-child transmission of HIV and care and treatment of persons living with HIV, we should not lose sight of the socio-economic factors that encourage behaviours that put people at risk of contracting HIV and other sexually transmitted infections,” she highlighted. Peng Liyuan, on her part, announced that China would start a comprehensive three-year programme in 2019 that seeks to properly combat the new infection and the spread of AIDS in Africa, stressing that her country is determined to support Africa to defeat the AIDS menace.